Strike Training and Consulting is a nationally registered training organisation approved to deliver Provide first aid (RTO 41500). Our Strike consultants are former armed forces medics, law enforcement officers and surf lifesavers all qualified in first aid. This exposure brings real world experience to our first aid training which can now be brought to our students. We use practical training adapting it to the Provide first aid requirements to benefit our participants in real world situations. Our goal is simple, and that is to help you learn the fundamental skills and gain the confidence and quick thinking it takes to implement first aid practices in not only your everyday life, but in unfortunate situations. At Strike Training, we are fortunate enough to have a dedicated and experienced team running the first aid classes that we provide. As industry professionals, they have applied the very skills they are teaching in various situations across the world. They continue to keep up to date with the latest advancements in industry training and skills so that they can relay it in the classes we offer. At Strike Training, we have a range of courses on offer, including first aid and CPR refresher course, how to provide basic first aid and the HLTAID004 Provide an emergency first aid response in an education and care setting. All of these courses are available at our Perth training centre. Strike Training works in conjunction with the structures set in place by the Workplace Health and Safety Act. Our courses are completed in two components being Online and Practical. You must complete the Online component before you begin your Practical component. Please allow five to seven hours to complete the online learning. We hold the Practical component on Mondays and Saturdays which will take between four to six hours to complete at our Training Centre. Don’t get caught out paying expensive city parking fees which add to the cost of your course – the Strike Training Centre is located only 10 minutes from the city with free parking and public transport at our doorstep. To enrol for a course please select the enrol button below the unit you wish to complete and choose a commencement date that suits your schedule. Please complete the enrolment form and the PayPal payment. Once you have enrolled and paid for your course, you will receive an email with a link to begin your online learning. At the successful completion of the course students will receive a Statement of Attainment. Please view the student handbook below for further information on the training policies and procedures for Strike. If you wish to discuss, please contact us to make further enquiries. Online course duration: up to 8 hours. Practical course duration: up to 6 hours. This Provide First Aid course, previously known as Senior First Aid, will provide you with the skills to recognise and respond effectively to an emergency situation. The course is comprised of nationally recognised units of competency and upon successful completion you will receive a Statement of Attainment. HLTAID003 includes the units HLTAID001 and HLTAID002. This course is suitable for a range of situations, including community and workplace settings. It is designed to give you the confidence to provide first aid response, life support, management of casualty(s), the incident and other first aiders, until the arrival of medical or other assistance. This is the advised minimum requirement by Workplace Health & Safety Legislation for the workplace first aider. This certificate is current for three years from date of issue. Online course duration: up to 2 hours. Practical course duration: up to 2.5 hours. This course, delivered in accordance with the Australian Resuscitation Council (ARC) guidelines provides training to develop the skills and knowledge necessary to perform cardiopulmonary resuscitation. Partly a CPR refresher course, it includes practical and theoretical training and assessments on how to understand and respond to an emergency situation, how to perform CPR and how to communicate with emergency services personnel. It is recommended to refresh your training yearly. Online course duration: up to 5 hours. Practical course duration: up to 4 hours. 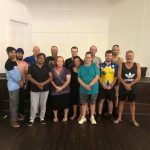 Also delivered in accordance with Australian Resuscitation Council guidelines, this training course will provide you with the basic skills and knowledge to respond to an emergency situation at home or while out and about. You will learn to provide life support and the management of a casualty of any age until the arrival of medical assistance. As well as learning to respond to an unconscious casualty, this course will outline the chain of survival, DRSABCD action plan, and will deliver the skills required to use an automated external defibrillator. Please contact us on (08) 9479 1848 to arrange enrollment. Online course duration: up to 9 hours. Practical course duration: up to 7 hours. This ACECQA approved course is designed for staff working within an education and child care setting, who are required to respond to a first aid emergency, including asthmatic and anaphylactic emergencies. The child and kid’s first aid course will contribute towards approved first aid, asthma and anaphylaxis training under the Education and Care Services National Law, and the Education and Care Services National Regulation (2011), and meets the requirements of “First Aid, Asthma and Anaphylaxis. Whether you require a HLTAID004 first aid course for your work with children, a CPR refresher course or a basic first aid course and have some further questions, please don’t hesitate to get in touch with the Strike Training team in Perth. We also have EFTPOS facilities available for payment. “Just wanted to let you know that I attended the First aid course with Mick over the weekend and I have to say that it was one of the best delivery I have had till date for first aid. Mick was very engaging, supportive and explained the content well plus there was really great opportunity for practising in a team environment. Mick was also a pleasant and professional trainer who was rational and understood the needs of the group. “Thank you Mick. Your Teaching was really helpful I’ve learnt a lot. 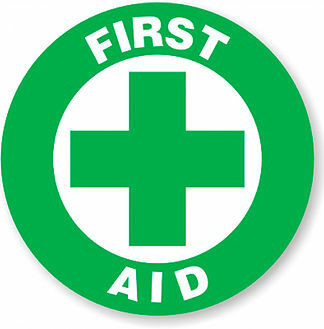 I would definitely recommend to my other friends to do their First Aid course with you.